Do you believe you can speak Italian like a mother-tongue speaker? | Speak Italian Magically! « What if you listen to, read and speak Italian at the same time? Do you believe you can speak Italian like a mother-tongue speaker? A couple of years ago I wrote a blog post about beliefs (you can still read it here). I have recently translated into Italian the quotation I started that article with…Here it is! “Iniziamo la nostra vita con il mondo che si presenta così com’è. Qualcuno - i nostri genitori, insegnanti, analisti - ci ipnotizzano a vedere il mondo e a costruirlo nel modo ‘giusto’. Questi etichettano il mondo, gli danno dei nomi e danno voce agli esseri e agli eventi in esso, così che dopo non possiamo leggere il mondo in nessun altro linguaggio o sentirlo che ci dice altre cose. The excerpt was written by Sidney Jourard. Sometimes we believe - me too - that some things should be in a certain way and that they can’t ever change, or be different. The day before yesterday, a dear friend of mine told me that she’s slow in learning languages and that it’ll take a lot of time for her to learn the new language she’s approaching, the same way it was in the past for English (that she’s been learning for a long time). After hearing that, some ideas came to my mind and I am writing about them below, but first, let me ask you… And you? Do you believe you can speak Italian very well and in the shortest time? Besides, do you believe you can speak Italian like a mother-tongue speaker? Probably right now you may be thinking that it’s impossible, because… you’re not a child anymore, because you have no time, or a billion other justifications (or excuses? ), that can be more or less valid. Whatever your answer, positive or negative, you have given an answer based on your beliefs. If you have read the above excerpt by Sidney Jourard well enough, you may agree with me that perhaps what we believe in, may depend on someone else - our parents, teachers, analysts, or the people that are beside us in everyday life or who were with us during our childhood - who have “hypnotized” us into believing that we have limits, that something is possible and something else is not. Henry Ford used to say: “Whether you believe you can do a thing or not, you are right!” If you believe that a thing is possible, then you will do everything in your power to make sure it becomes your reality; if you instead believe that a thing is not at all possible, perhaps you won’t even take that little step that can help you make your dream come true, maybe the dream of speaking Italian very well. And the thing you may not be aware of is that the beliefs behind your actions, may depend on something external and not on yourself. Human history is replete of facts, objects, actions that right before they were done, were believed to be impossible and then they became reality. 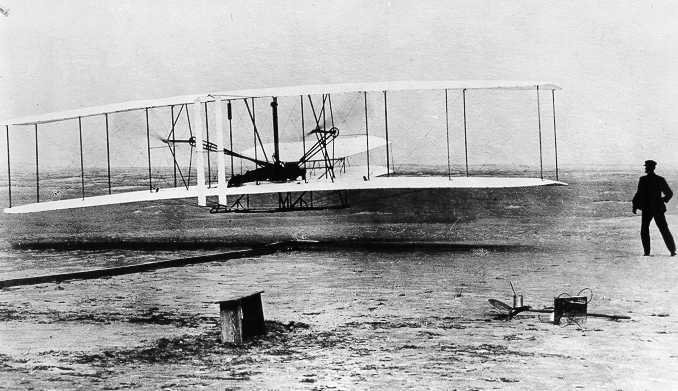 Take for example the Wright brothers, two bicycle sellers who defying the gravity law invented the airplane. If they didn’t believe that flying was possible, probably on 17th December 1903 Wilbur Wright wouldn’t fly and history would be different. But they believed in it and made their dream come true. If they hadn’t believed, do you think they would do it anyway? Think for a moment of everything we use in our everyday life: tablet, iphone (I don’t use it yet;-), pc, ecc. What we believed impossible (or science fiction) about 10 or 15 years ago is today’s reality. Many more things are possible. But why are they possible? Perhaps because someone believed in it. Someone was firmly convinced that it was possible to invent everything we use nowadays and acted so that it became reality. It wasn’t enough for him (or her) just to believe it, he (or she) also took some little, constant and inexorable step toward his (or her) dream - and you can do it with the Italian language too! As I write, I’ve remembered another example, more related to the world of learning foreign languages. Do you know that until not so long ago someone believed that it was impossible to learn a language and speak it like a mother-tongue speaker, especially after a certain age? It was called critical period, after that it wasn’t possible to acquire a language and speak it like a mother-tongue speaker, especially as far as pronunciation is concerned. You’ll just have to search on the web to find about Luca Lampariello, who started to learn several (!) languages after a certain age and in many of them he is at a level which is comparable to that of a mother-tongue speaker. His method has nothing of a miracle, but it consists of a constant practice for about 2 years on every language he learns (I don’t know exactly how many of them he speaks today: perhaps 10 or more). There’s then a guy who goes under the name of Katsumoto who believed it was possible to learn Japanese and speak it at a mother-tongue level in a relatively short time. He learned Japanese in 18 months, by having fun. In June 2004, at the age of 21, he started learning Japanese. By September 2005, he had learned enough to read technical material, conduct business correspondence and job interviews in Japanese. And he did all that without ever being in Japan. Only in October 2005 he got a job in Tokyo. But how did he manage to learn Japanese at that very high level and in such a short time? His “method” was to immerse himself in everything japanese and for all the time he could, both consciously and unconsciously (he also practised passive listening): he calls it All Japanese All The Time (AJATT). Getting curious because of his results, I went and read his website so that I could understand more of what he did. And do you want to know what’s the first thing he did when he started to learn Japanese? Do you know what’s the second most important thing in his method? Enough with limits, both self-imposed and imposed by others. Begin to believe that it’s possible to speak Italian very well, that it is your birthright…and the rest will come, one step at a time! Questo articolo è stato pubblicato in 6 maggio 2013 alle 08:51	ed è archiviato in The course. Tagged: beliefs, katsumoto, lampariello. Puoi seguire qualsiasi replica a questa discussione tramite il RSS 2.0 feed. Puoi lascia un commento, oppure trackback dal tuo sito.